Hello, and welcome to our 3rd-anniversary celebration and blog hop! With each year that passes, we become more and more appreciative of our customers, fans, and friends. We couldn’t be where we are without you! Your support over the past three years has energized and inspired us, and everything that we do is done lovingly with you in mind. Even if you did not receive a gift, we would like to celebrate with you by offering free or discounted shipping, and many opportunities to win prizes over the next few days! *If you missed any of our anniversary blog hop posts, make sure to check them out for inspiration and an extra chance to win PRIZES! I can hardly believe it has been three years for Altenew! As we have just mentioned, we couldn’t have made it this far without your support, so thank you!! and I hope we continue to grow together for many years to come. I would also like to thank our amazing leadership team who work tirelessly to keep the Altenew gears running in the background, and our designers who make spectacular projects giving us fresh inspiration on a daily basis. Special thanks to May for organizing this amazing 4-day long celebration! In light of the celebration, I wanted to share a couple of projects that are a bit different than usual. Besides making cards, I also enjoy making framed wall art. I find them great for gifts (people always appreciate a handmade gift! ), and they are also great for personalized home decoration. The first one was made using the stamp sets Beautiful Day and Remember This. With a bit of masking, I was able to create a one-layer stamped image. This complements my office room where the prominent colors are Blue, red and brown. 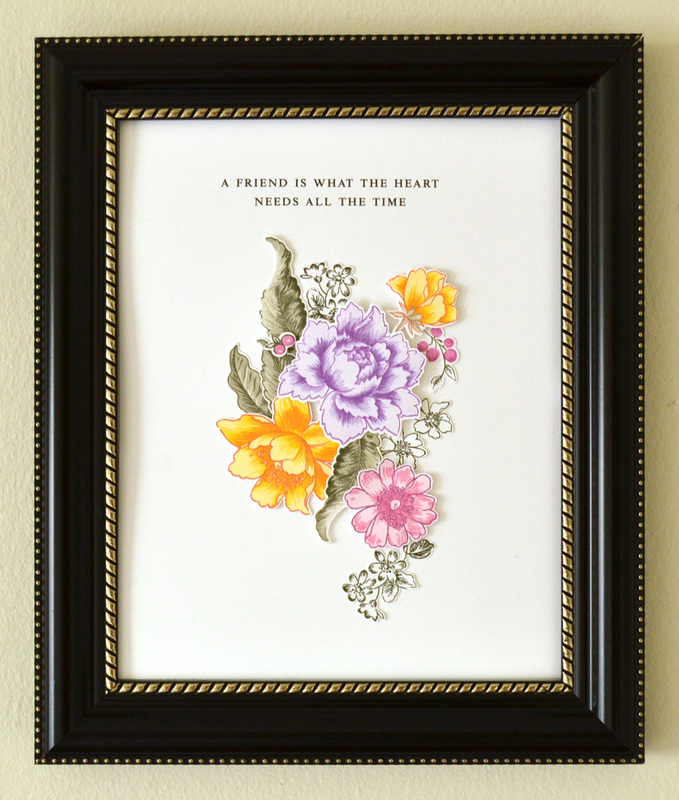 The sentiment was first printed out, then the die cut flowers and leaves were layered with foam tape. 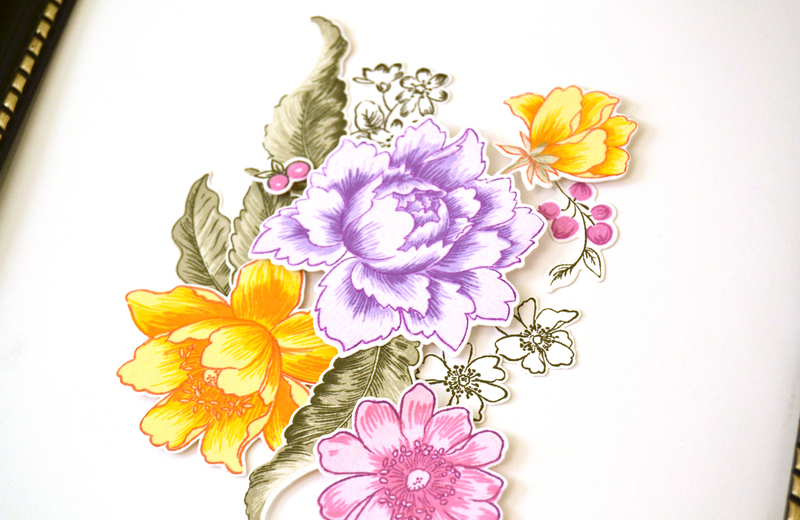 For this one, I used the stamp sets Peony Bouquet and Garden Treasure, and the inks used were Shades of Purple, Rose Petal, Summer Afternoon and Warm Gray. I hope you enjoy hopping today! Make sure to check out the amazing prizes along the hop! Wow, 3 years! I still can’t believe it. I often think back to that first release…the anticipation, excitement, and of course the uncertainty that came with taking a risk and putting my artwork “out there.” The funny thing is, that uncertainty comes back for every release! “Will our customers like it?” “Will it live up to our standards?” “Is it innovative?” These questions stir about in my brain as I design, and I think they push me to work harder. The stress definitely pays off, when I get to see customers using our products. Often times, I’ll see you creatively use something in a way I never imagined! Please keep sharing your projects, as your creativity is what really inspires me. I am so glad you have all decided to join us in our journey, and I hope we can continue to be part of this community together for years to come. Be sure to leave comments by Tuesday, April 25, 2017, at 11:59 PM EDT for a chance to win! 21 WINNERS will be chosen at random from the comments left on any of the blogs listed below and will be announced on the Altenew blog on April 28th, 2017. Please click on the blue button below to link your best Altenew projects you’ve created for the past 3 years. You may enter up to three times. We’ll feature the best 7 entries on the Altenew blog on April 28th, 2017. Congrats on the big 3! I have always loved the products that you provide and your whole catalog is on my wish list for when I win the lottery someday. Happy anniversary! I have recently come into crafting and very quickly found your stamps to be of amazing quality and thankfully there are a variety of suppliers here in the UK. I love the different designs you can make with the layering of flowers. I look forwards to purchasing many more in the future! I love your stamps… my cards with Altenew are the most beautiful. Thanks and happy anniversary! I absolutely adore your happy and brilliant stamp and crafting company. Your layering stamps are so versatile it’s like having 4 stamps in one…great value! Love your products. Scrumptious artwork. You are the best stamp company! Love everything you come out with. You have made me a stamper!! Congrats! I will admit that I find the layering stamps intimidating, but I love the line art florals — just gorgeous. However, Jennifer McGuire just had a video showing how to layer with vellum and I am so excited! I will finally master layering!! lol Looking forward to many more years of Altenew stamps. Beautiful and amazing hop for 3rd anniversary, many many years! I love your stamps and dies and all your designers are simply amazing…. Congratulations, Tasnim and Jennifer, on your 3rd Anniversary! You’ve come a long way, baby, and with your successes will be around a long time. Your designers really do a fabulous job of showcasing your goodies! Happy Anniversary on the BIG 3!! Gorgeous examples of your beautiful images by your talented designers!! Love their inspiration and your fabulous stamps! Congratulations on your 3rd-anniversary! Thank you for your amazing Products, and I want to thank your lovely design team members whom inspire us with all these gorgeous projects. Thank you so much for all your amazing inspirations and incredible products! These projects are gorgeous! 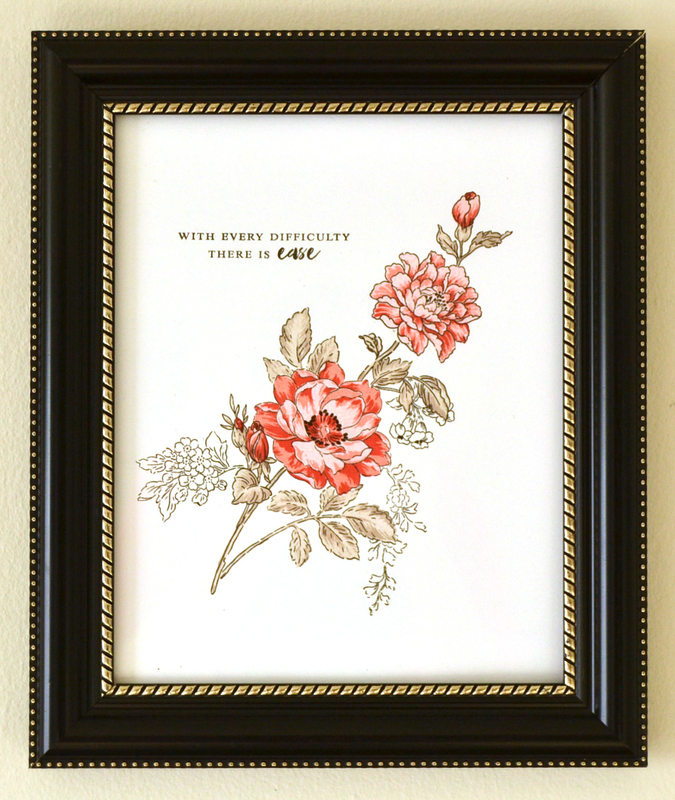 I love the framed art and Treasured Garden is fast becoming one of my favorites! Congratulations on your 3rd Anniversary! Well done! Big congratulations on the three years anniversary. Big congratulations on the three years anniversary. love the inspiratons from the design team members and the gorgeous stamps released over the years. Love the wall art! Happy Anniversary!! Happy Anniversary!!! I am so inspired by all your daily blog posts so wishing you many more anniversaries to come!! Thanks for this incredible giveaway! !